Sony hacker George Hotz a.k.a Geohot is reportedly working at Facebook after spending several years agitating technology giants. The news follows Hotz's antics this year when Sony sued him for distributing digital keys and a set of tools that would let you run illegally copied games on the PlayStation 3. Before his Sony showdown, Hotz was also one of the first people to jailbreak Apple's iPhone with a hardware unlock, although software tools that could do the same job soon replaced this method. But now Hotz is going legit with a job at a major Internet company. While the news may be surprising to some, Hotz is not the first hacker to turn his digital antics into a job resume capable of winning a 9-to-5 gig and a regular salary. Here's a look at Hotz and five other notable hackers who have turned from digital rebels to the ultimate insiders. The hacker known as Geohot became known for pioneering iPhone jailbreaking, but is most famous for being part of the team that created a set of jailbreak tools for Sony's PlayStation 3. That achievement earned him a legal bout with Sony that ultimately ended with a permanent injunction against Hotz from publishing his PS3 jailbreaking tools. Hotz later wrote on his blog that he was officially boycotting Sony products. Rumor has it Hotz is hard at work on Facebook's rumored iPad app. Hacking the PlayStation 3 isn't the only way to get the attention of Facebook's human resources department. In 2005, Chris Putnam and two friends created a worm that made your Facebook page look like a MySpace profile. Hilarity ensued and the worm was eventually tracked back to Putnam, who struck up a rapport with Facebook cofounder Dustin Moskovitz, according to Putnam. Several months later, Putnam moved to California to start work at Facebook. You can read the entire story as told by Putnam on Quora. 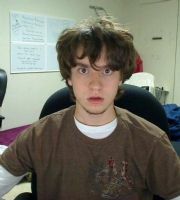 In 2009, 17-year-old Michael Mooney created a worm that spread across Twitter posting spam messages to user accounts. Mooney said he created the worm "out of boredom." Several days later, Travis Rowland, chief executive of exqSoft Solutions, an Oregon-based Web application company, was so impressed with Mooney's skills that he hired the bored, young hacker as a programmer and security analyst. New Zealand-based Owen Thor Walker was just 18 when he became the target of an FBI investigation for managing a botnet containing an estimated 1.3 million computers. Walker's botnet was responsible for millions of dollars in computer economic loss around the globe, according to the New Zealand Herald. After his arrest and trial, Australian telecom Telstra hired Walker for a 12-month contract to speak about security at board meetings and seminars, according to Western Australia Today. Despite his mad hacker skills, Telstra did not give Walker access to the company's internal network.